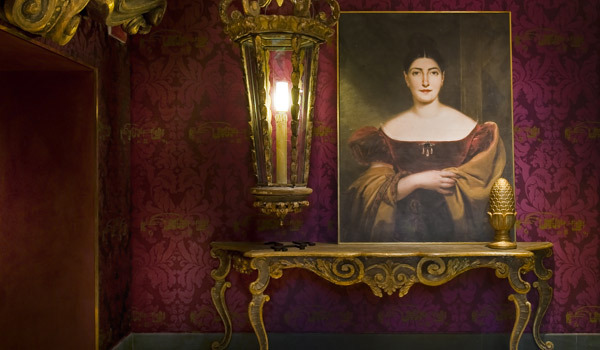 Boasting a long history of luxury and artistic glory, the CastaDiva Resort’s main structure, Villa Roccabruna, was once the home of Giuditta Pasta, the most famous lyrical singer of the XIX century. 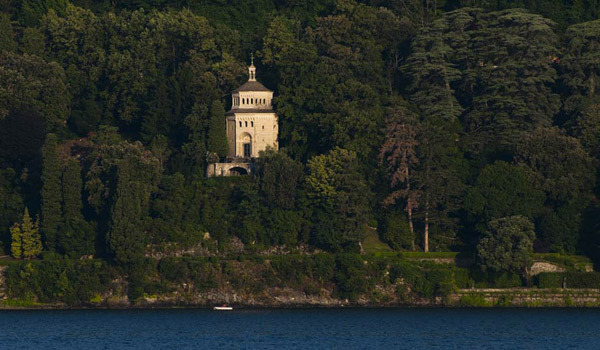 Renowned musicians Vincenzo Bellini, Gaetano Donizetti, Gioacchino Rossini, and writers Stendhal and Alessandro Manzoni have been guests here. 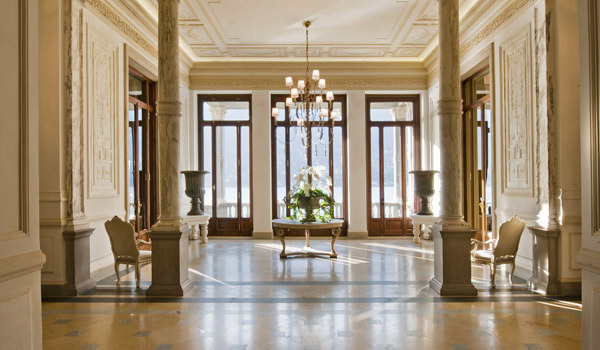 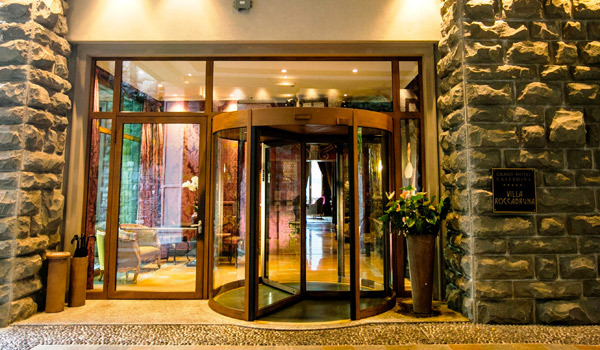 Today it is the heart of the Resort, with the hall, reception area and concierge, the period rooms, the American Bar and the Spa, a part of which extends to the nineteenth century boathouse and hangs suspended above the waters of Lake Como. 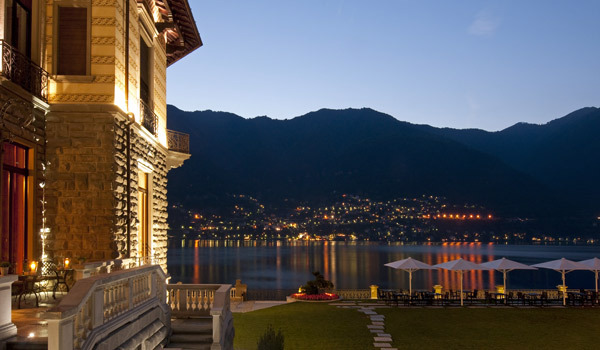 The lake’s mirror-like surface can be admired from everywhere in the this splendid complex, which lies in the village of Blevio, just 5km from the centre of Como and is near to Milan Malpensa airport. 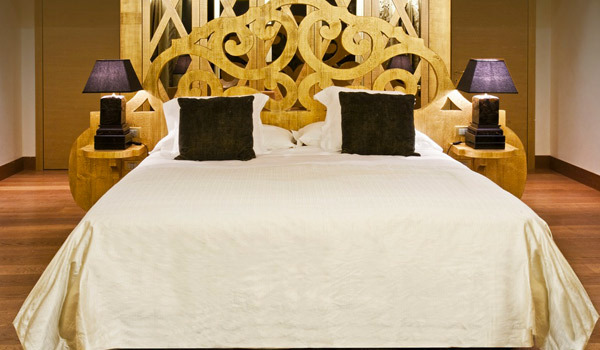 The resort offers rooms and Suites located in various private villas. 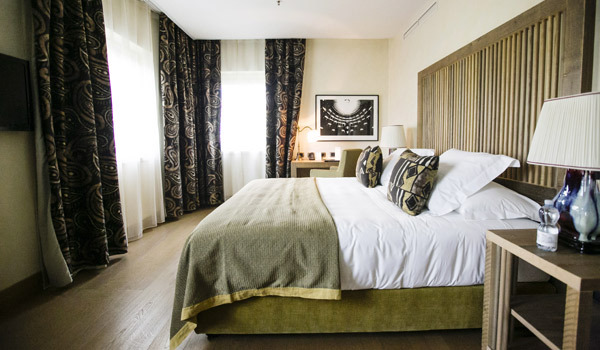 All have refined furnishings in classical or modern style, luxurious touches and all that guests need for a truly comfortable stay. 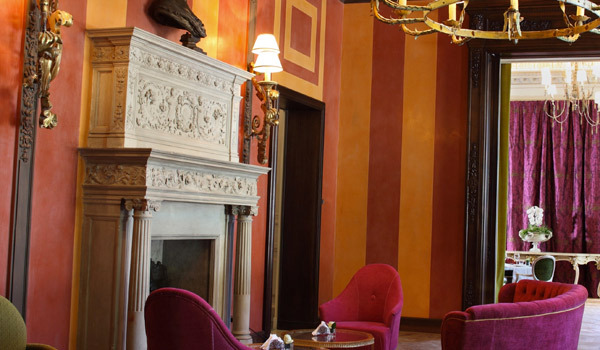 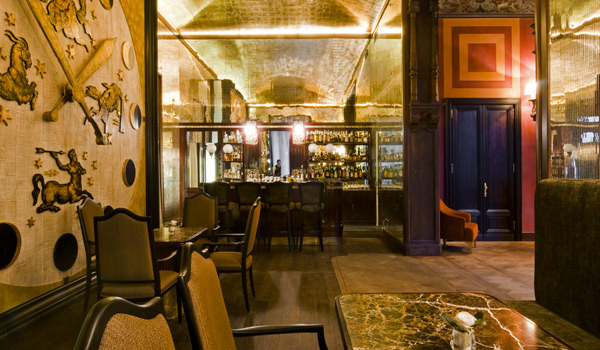 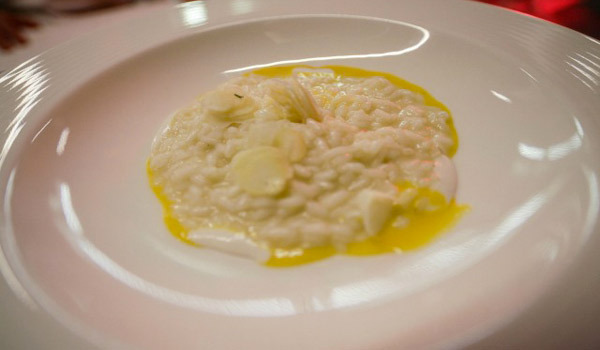 In the Resort, there are two Restaurants, one open for lunch and other for dinner, both offering regional Italian dishes accompanied by fine vintage wines. 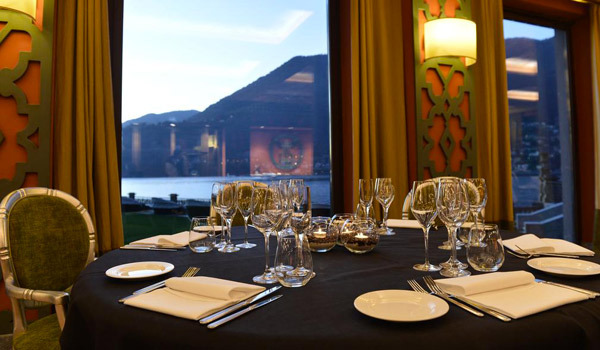 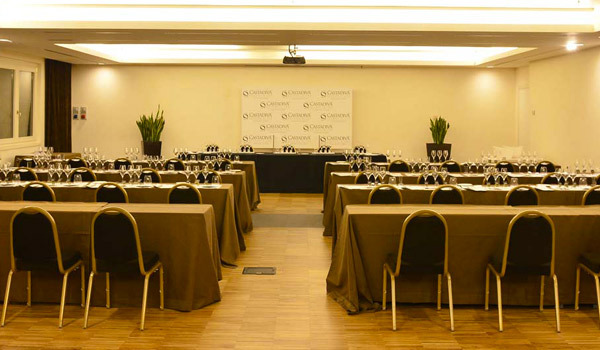 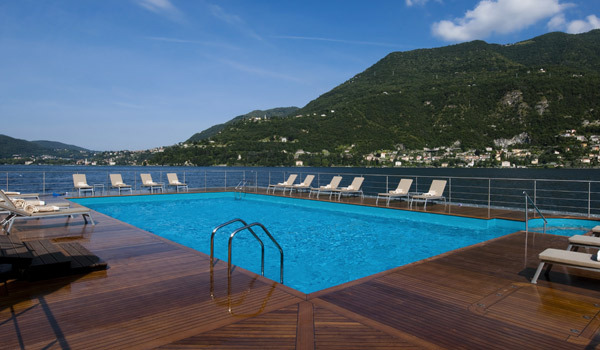 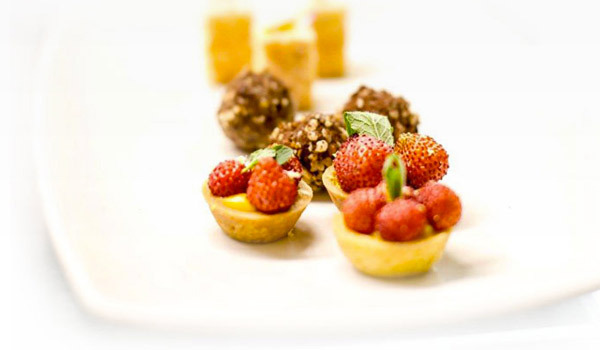 A well-equipped gym, 4 rooms that can be set up to accommodate as many as 300 people, as well as indoor and outdoor parking areas all combine to make this a great location for events and ceremonies set against the stunning backdrop of Lake Como, famed for its natural beauty the world over. 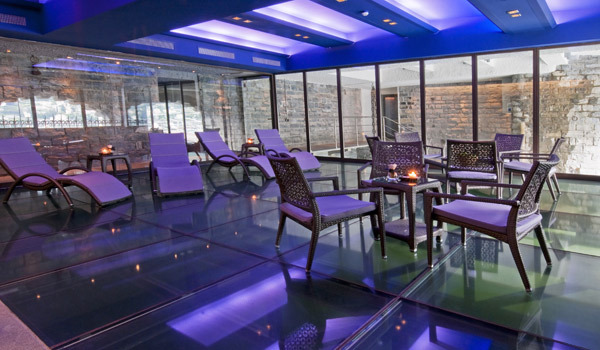 The CastaDiva Spa extends over an area of 1,300sqm, part of which covers the old boathouse dating to the 19th century and so lies suspended above the waters of Lake Como. 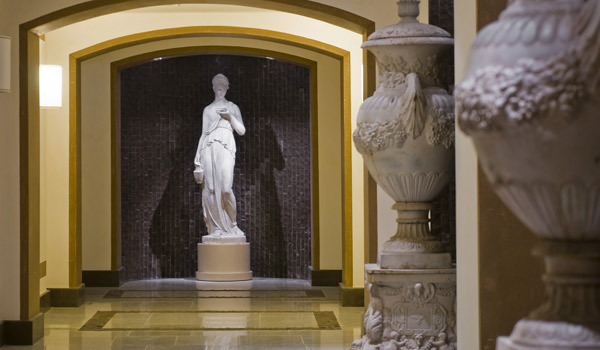 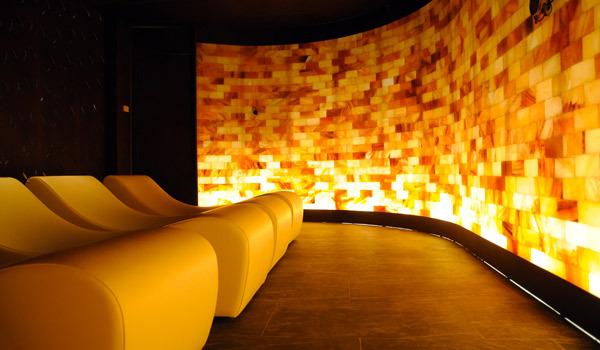 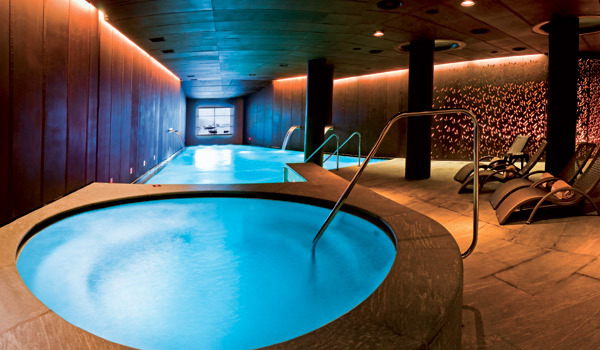 The wet area is of impressive dimensions with its indoor pool, sensory shower and whirlpool bath as well as Jacuzzi, Finnish sauna, hammam and Mediterranean baths with aromatherapy and chromotherapy, ice waterfall, vertical Kneipp, sensory showers and salt grotto. 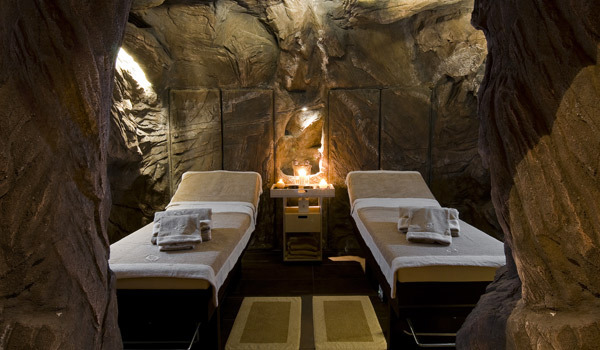 In the two multipurpose cabins you can have a massage or natural beauty treatment for face or body. 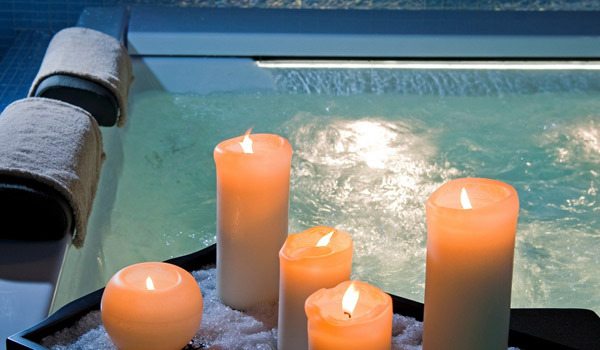 Privacy loving guests will enjoy the four Spa Suites equipped for reserved wellness experiences. 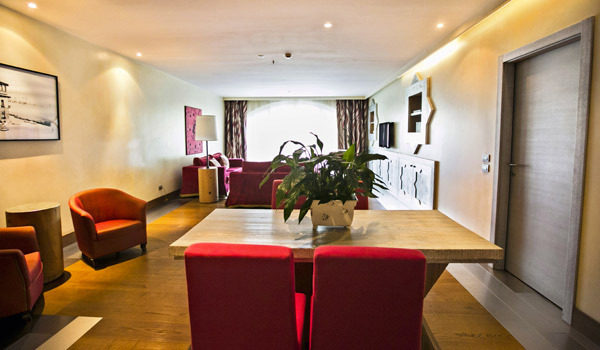 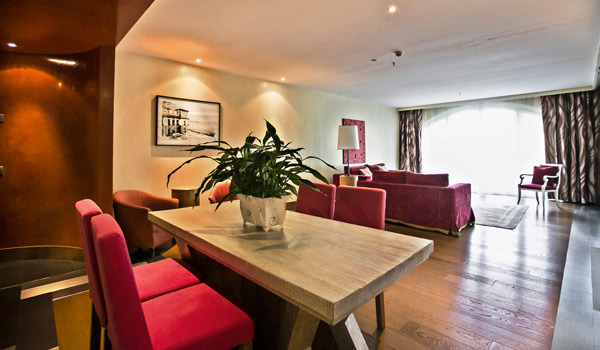 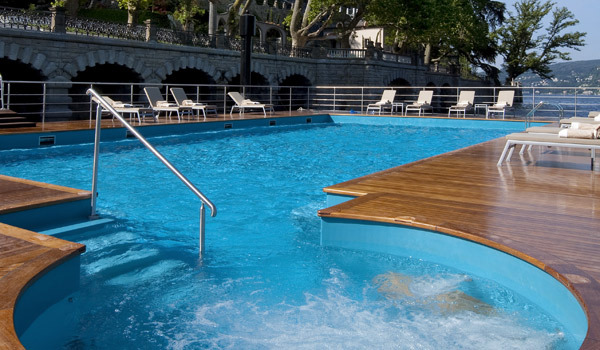 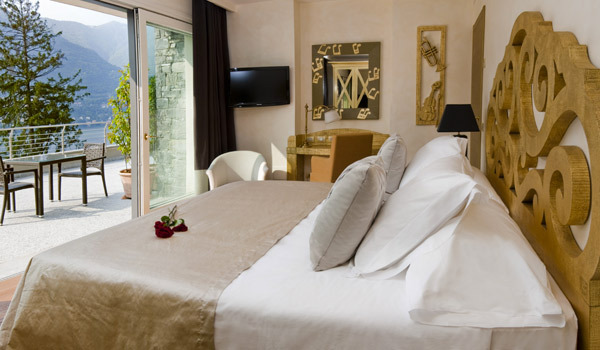 The rooms and Suites of the CastaDiva Resort are divided into various categories. 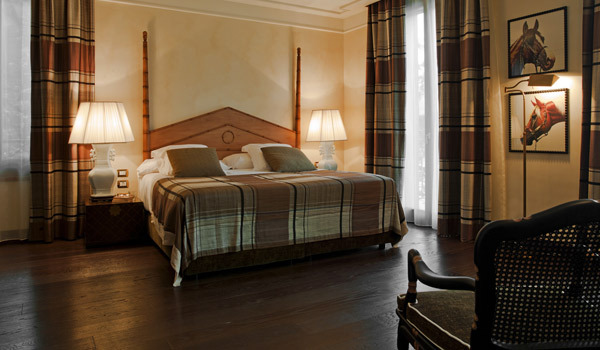 Classic rooms are located in three villas that have a view of the Resort’s garden. 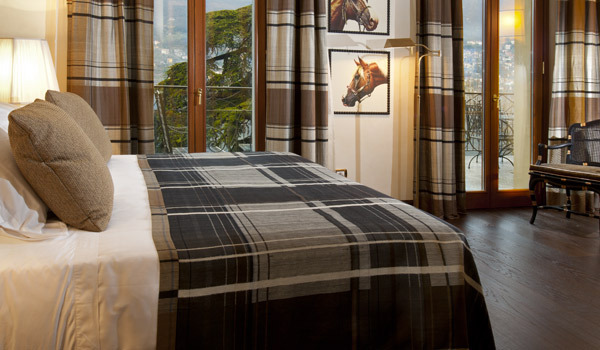 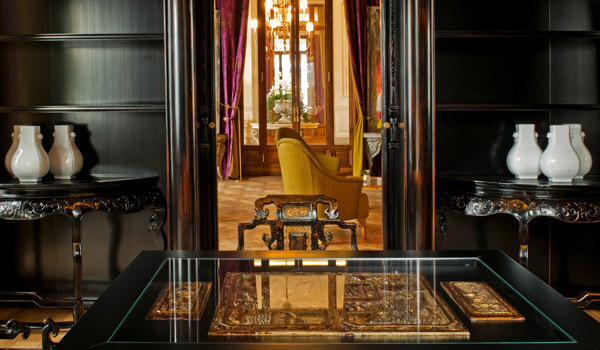 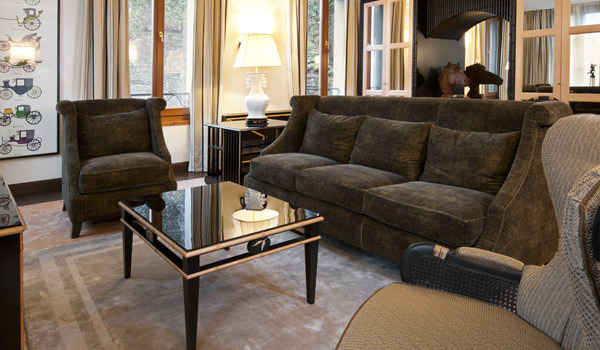 Deluxe rooms are found in Villa Dorabella and have balconies that overlook Lake Como. 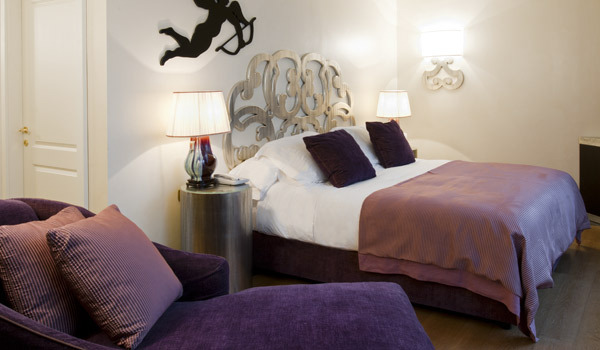 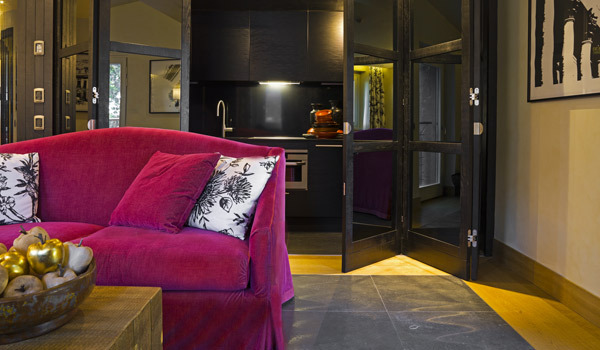 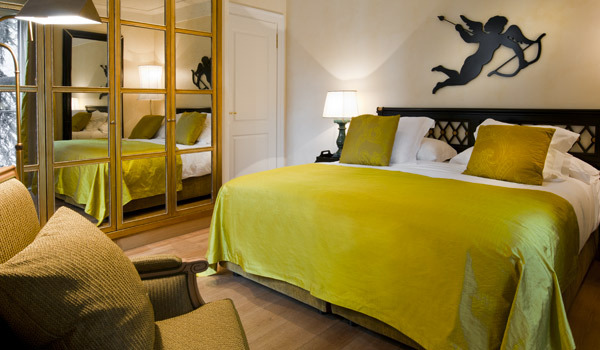 In Villa Dorabella as well as in Villa Fiordiligi, there are Junior Suites. 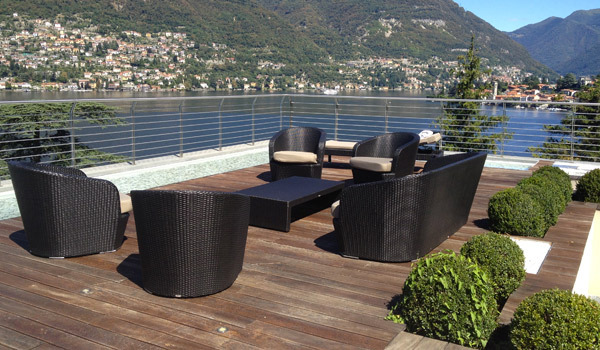 These have a living area, private terrace or garden. 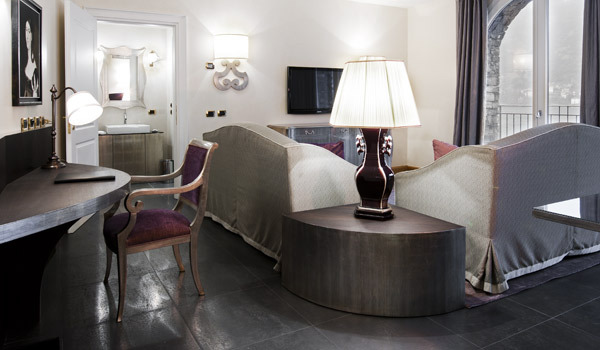 The Roccabruna Suites are located in the Villa of the same name, they have two floors, a separate living room and balcony or terrace. 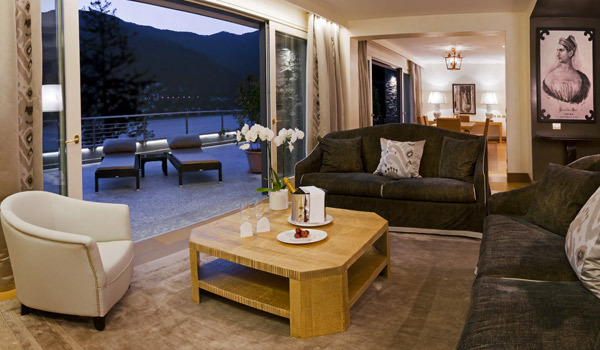 The Penthouse Suites are found in various villas and have private terraces or gardens with lake view, as to the Villa Suites, designed to suit families, with one, two or three bedrooms. 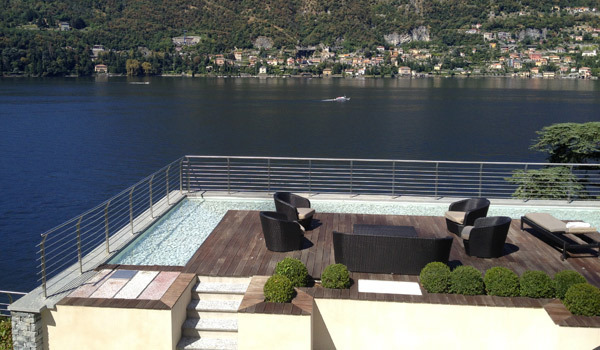 The four Castadiva Suites in Villa Roccabruna have a terrace on the lake measuring 140 sqm. 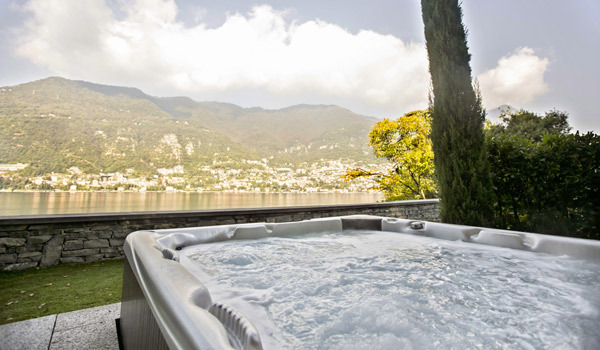 Finally, the Suite in Villa Fiordiligi has a private pool on its 570sqm terrace and boasts bedroom, living-dining areas, and two bathrooms including one with a generous circular tub. 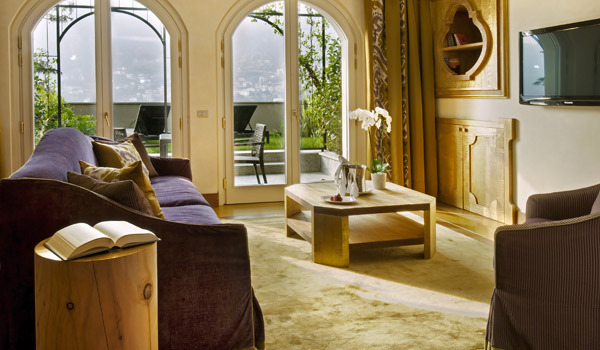 Two luxurious private villas are also available within the grounds. 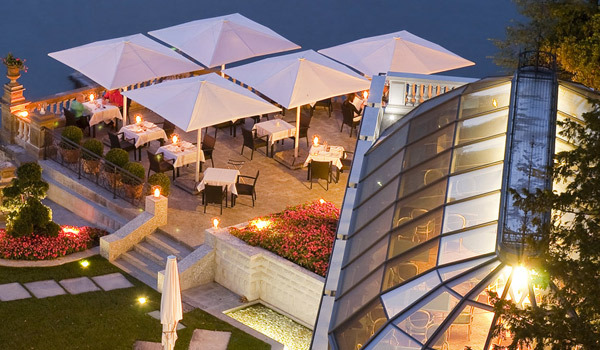 Overlooking the Lake, with a charming terrace open in the summer months, the Orangerie restaurant opens only for dinner, offering à la carte dishes inspired by local and Italian tradition using fresh, seasonal ingredients. 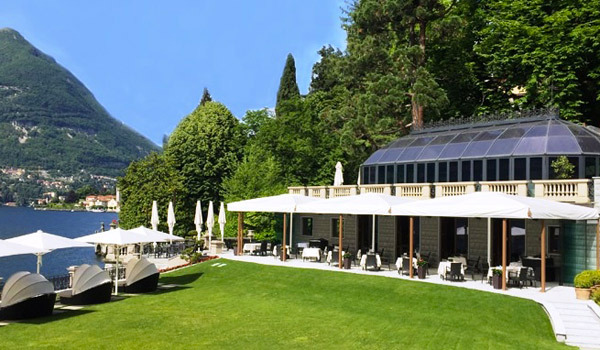 Lunch is instead served in the Giardino dei Sapori, enclosed in a glass dome with a breathtaking view of the Lake. 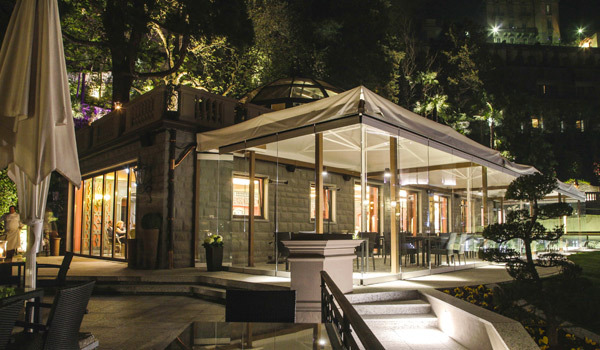 The menu includes regional and national cuisine, to enjoy al fresco in the warm weather, when there is also an open fire for pizzas and a Grill Bar for barbequed meats, fish and vegetables. 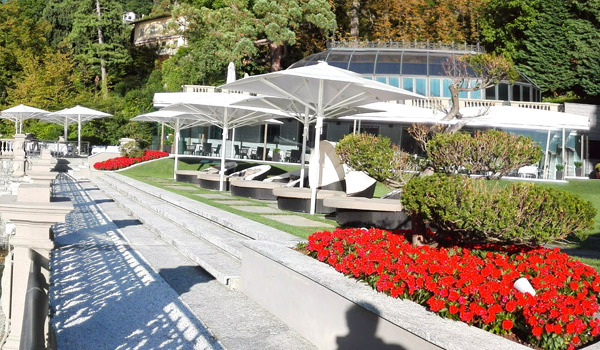 Light dishes, salads and snacks are available at any time from Bar Bellini on the terrace of Villa Roccabruna, as well as cocktails and spirits. 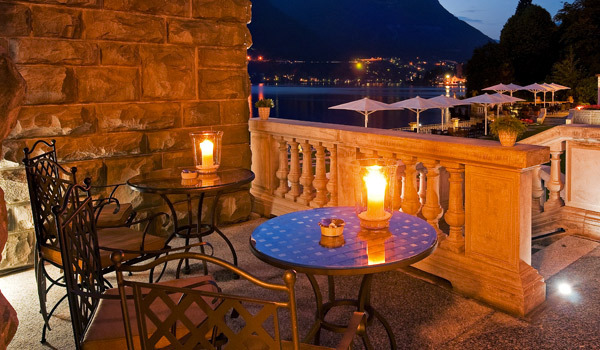 Lecco and aboveall Como are the towns nearest to the village of Blevio, where the CastaDiva Resort & Spa is situated. 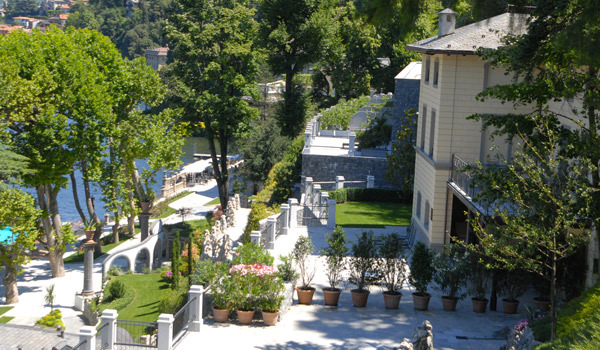 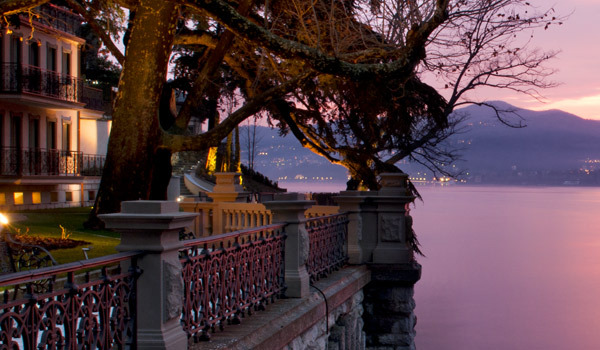 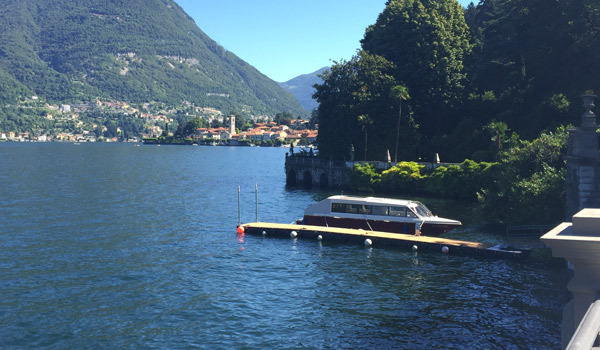 That said, Lake Como has a myriad of picturesque hamlets to visit, each with unique charms. 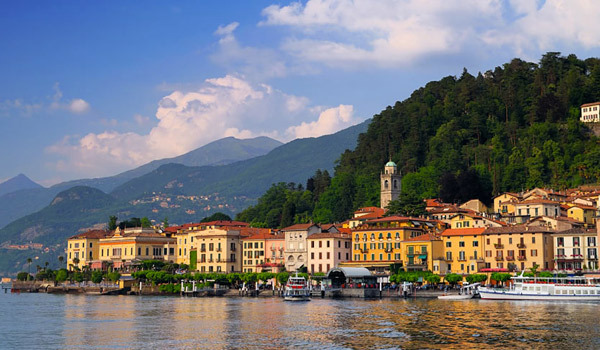 Cernobbio for example, has its traditional village square, the sixteenth century Villa d’Este and the nineteenth century Villa Erba. 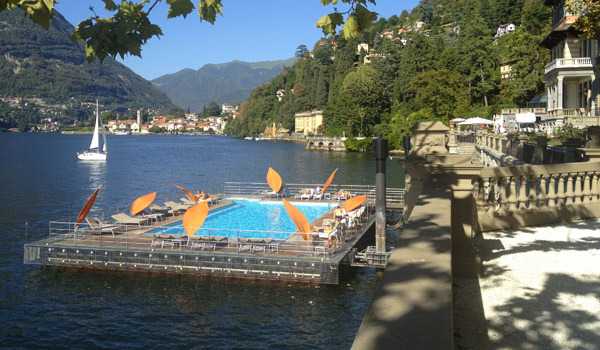 Or Bellagio, set at the meeting point where the lakes two branches meet, an internationally famous draw for holidaymakers. 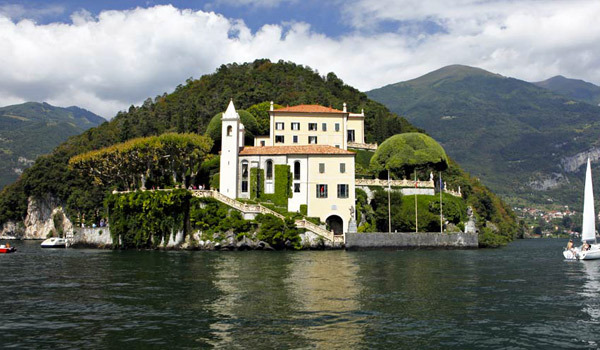 Another evocative itinerary is the Regina Vecchia road that crosses Moltrasio, Carate Urio and Laglio, where the famed Villa of the actor George Clooney lies. 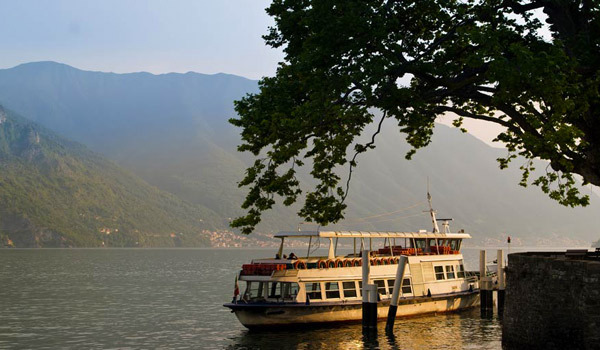 From Argegno you can take the cablecar to the Piana di Pigra where you can admire the spectacular panorama below, or you can take the cablecar from Como to Brunate, a village famous for is many Liberty-style villas. 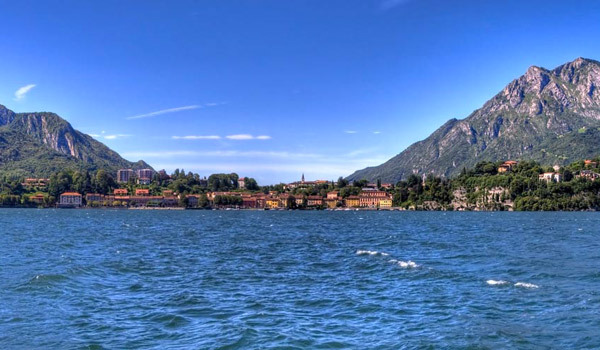 Yet another striking locality to visit in the Como area is Torno for its many-coloured houses, Bellano with its Orrido – a natural gorge that can be crossed by several walkways, plus Varenna, Lenno and Tremezzo.